First of all, I scored an incredible Black Friday deal that I haven’t seen since. Round trip Toronto-Reykjavik for $175 (all prices Canadian) including taxes and fees. It helps that we were travelling in winter, when prices are generally lower, but WOW air is known to run great deals. Baggage, of course, is extra. One adult and two kids easily shared one suitcase for a week and the cost came to $125.98 for both ways. The weight limit is 20kg (44 lbs), which we found perfectly reasonable. Carry-on luggage also comes at a price, BUT, guests may bring a personal item on board for free. The dimensions for personal items are 17x13x10in, including straps and wheels, and they must fit under the seat in front of you. We skipped purses and camera bags, opting instead for compact backpacks. 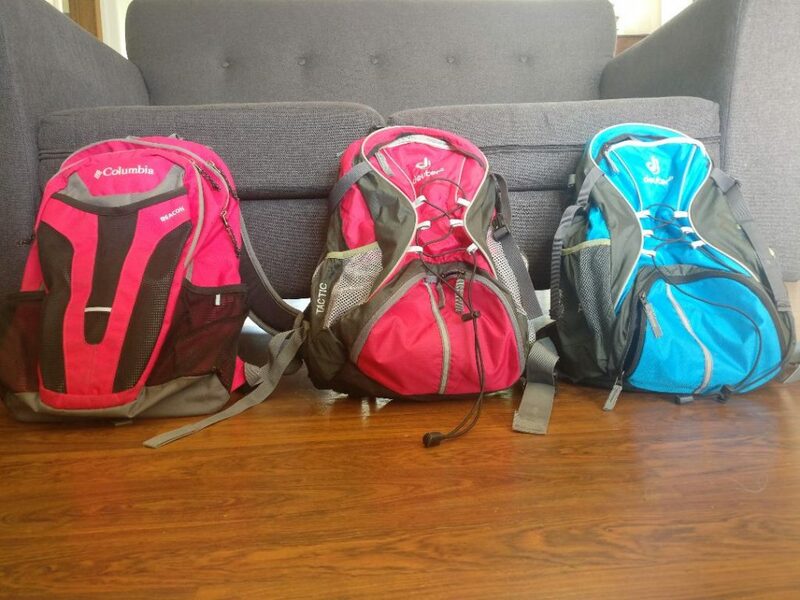 This encouraged us to pack light – which I love to do anyway – and the smaller backpack size was perfect for the kids. WOW air makes a pretty penny on extras, I would think. Your fare does not include inflight-entertainment, food, snacks, water, seat selection, booking through the call centre, or being served by a human at check-in (although there were staff floating around to assist). Personally, I’m happy to pay the lower airfare and take care of those details myself. I kind of took a chance not paying for the seat selection and I did hope we’d be seated together (me alone with two kids on this flight). Whether it just worked out that way or they didn’t want to separate me from the kids, I don’t know, but we were seated together on both flights. We packed lots of snacks from home, and brought empty water bottles through security. We filled them up at the water fountains at the gate, so we had plenty to eat and drink on the 6 hour flight from Toronto to Reykjavik. We downloaded movies and episodes of our favourite shows on Netflix and loaded up our tablets and phones. There is no organized entertainment onboard, but there is an option to rent iPads loaded with movies and games if you’re desperate. BONUS: Each seat is equipped with charging ports, which was a real lifesaver. We had regular plugs under our seats for one flight, and USB charging ports on the back of the seat in front of us for the other. Excellent. Polite, friendly, helpful, honestly fantastic. 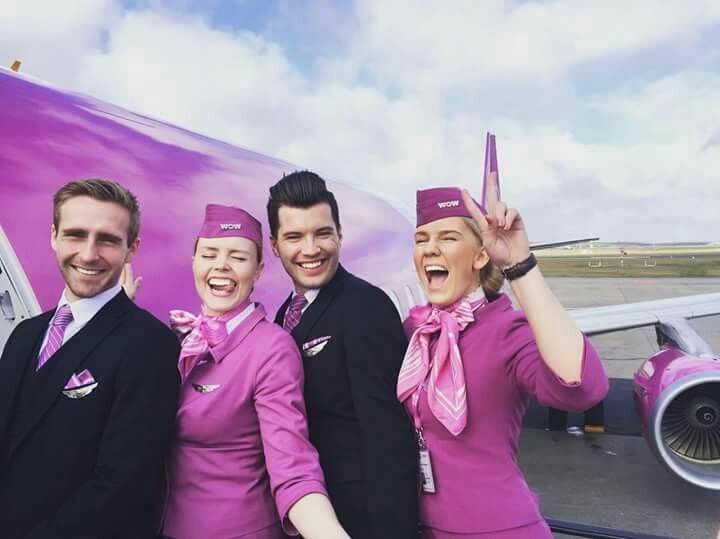 After I booked our flights I reached out by email to customer service with questions about our airport transfer (bookable through WOW air website). They were super quick to respond, so helpful and friendly. Onboard crew both ways was great. The captain kindly pointed out the northern lights for us while we were mid-flight, which was really appreciated by everyone even though it was sleeping time. Funky purple decor is the most noticeable thing about a WOW aircraft. The planes seemed modern and newish and they were spotless. Seats were not exceptionally roomy (you pay extra for those ones), but we fit fine with our backpacks and the kids’ snowsuits tucked under the seats ahead of us. I love the WOW air website. The whole airline is meant to be as self-serviceable as possible, and the website makes it easy. Optional charges are listed in actual dollars, you can peruse the in-flight menu with prices, and you can book your airport transfers through Reykjavik Excursions at a discounted rate. IMPORTANT TIP: If you would like to book a Blue Lagoon stop – and I recommend that you do because it’s conveniently located between Keflavik Airport and Reykjavik – book directly with Reykjavik Excursions, and not through the WOW air website. WOW air with Kids Review: So was it Worth it? Yep! My entire travel philosophy is travel smart and travel MORE, so I am a huge fan of WOW air and the overall experience. If we only took one trip a year, I suppose we could splurge and make every experience nicer. But if I can save hundreds of dollars to put towards another trip, and it really doesn’t cost me anything outside of some extra planning, then sign me up!